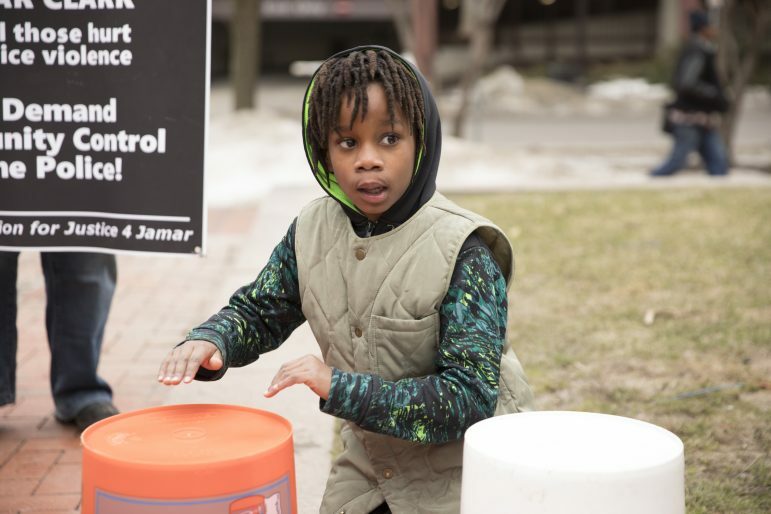 In response to Hennepin County Attorney Mike Freeman’s decision to charge Officer Mohamed Noor in the shooting death of Justine Damond, 13 community organizations gathered for an event to demand justice for all victims of police shootings in the Twin Cities and beyond. 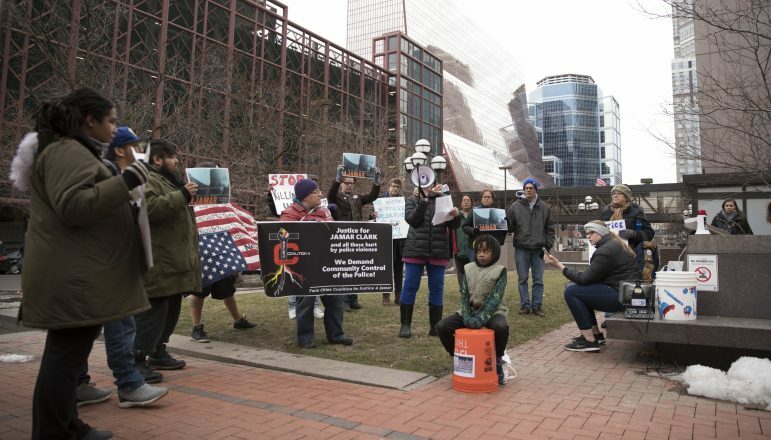 Around 40 people gathered for a rally at the Hennepin County Government Center Friday, March 23 where speakers took turns talking about their loved ones who died at the hands of the police. Protesters also called out Freeman. “We need to take this attorney who will never prosecute a cop in a real way and replace him,” said Michelle Gross of Communities United Against Police Brutality (CUAPB), who called for Freeman’s ouster as county attorney. Community members also talked about the Damond case and Noor. “We, as a group, reject using Noor as a scapegoat to try to justify an unjust system,” said protester Sarah Thompson. She added that she and other community members feel Noor is being prosecuted because he’s Black and Muslim. After members of the community spoke, they marched to the Public Safety Facility where more people spoke before the crowd disbursed. The event lasted about an hour. Chris Juhn welcomes reader responses to cjuhn@spokemesman-recorder.com. 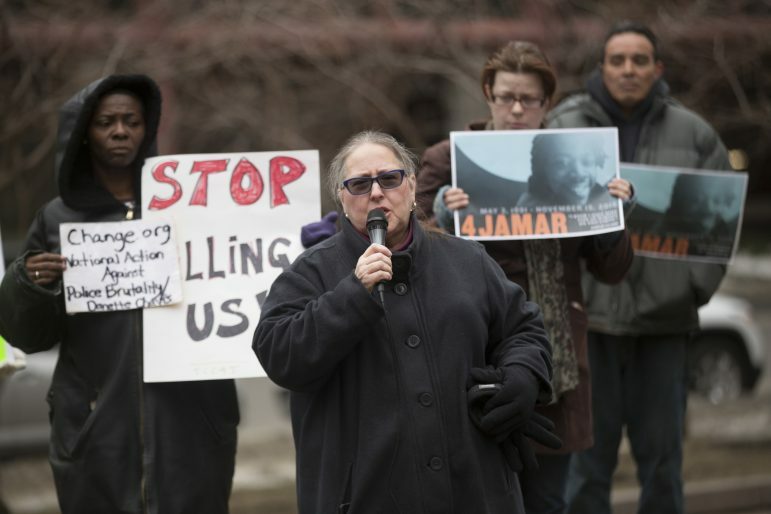 Monique Cullars Doty holds a sign in front of the Public Safety Facility demanding justice for her nephew Marcus Golden who was shot and killed by St. Paul police in 2015. Monique Cullars Doty holds a sign in front of the Public Safety Facility demanding justice for her nephew Marcus Golden. Protesters hold signs in front of the Public Safety Facility demanding justice for her nephew Marcus Golden.